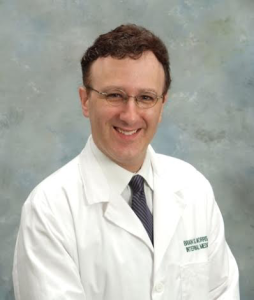 Dr. Brian Morris graduated from the world-renowned Johns Hopkins School of Medicine, trained at Yale School of Medicine, and previously held a teaching position at Harvard Medical School. He’s been practicing medicine for more than twenty years, holds a teaching position at The David Geffen UCLA School of Medicine, and is the Associate Director of The UCLA Executive Health Program where patients travel from around the world for his medical consultations. Dr. Morris has been featured in The Wall St. Journal, Men’s Health Magazine, Delta Sky Magazine, The Saturday Evening Post, and Business Week. He has repeatedly been selected as one of America’s best doctors by US News & World Report, The Consumers’ Research Council of America, and The Hollywood Reporter. Dr. Morris is married with four children and they live in Los Angeles, California.